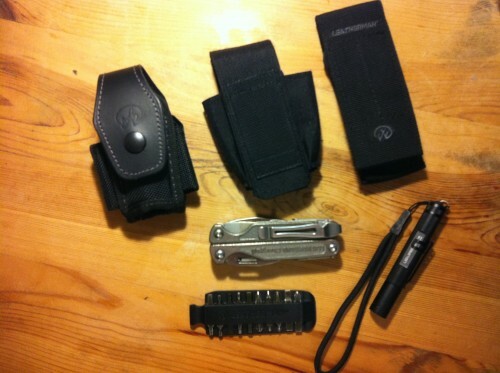 After my recent trouble with Leatherman Germany which resulted in paying EUR 36 for a new Leatherman Charge TTi, I thought about the need for another multitool sheath. Now, the sheath issue isn’t new to me as I’ve often talked about it here and even on instructables. Leatherman delivers their multitools with different sheath, but they are all not that perfect, especially since some tools also come with a bit set which often doesn’t fit in a sheath along with the tool itself. 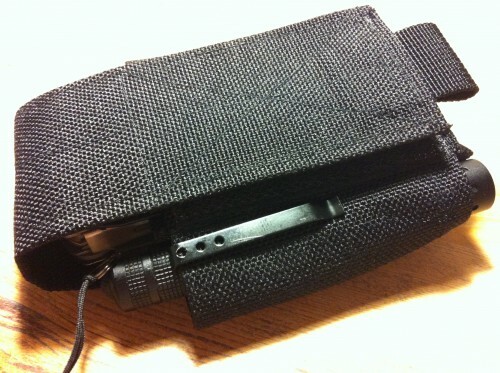 So after receiving the Charge TTi with a revised sheath, I decided to buy a Leatherman Molle sheath. MOLLE stands for MOdular Lightweight Load-carrying Equipment and is the “de facto standard for modular tactical gear”. 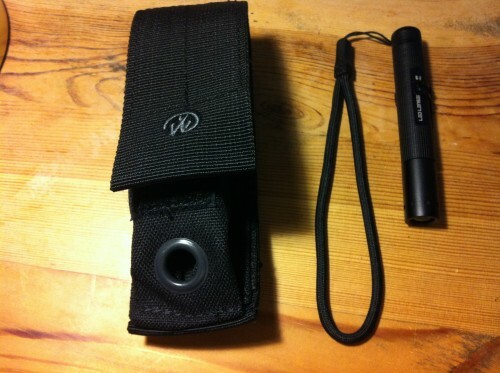 It’s a great system, but since I usually don’t wear any military clothes (nor have a need for that), I was rather interested in the sheath itself and how well it would accommodate the multitool, not really worrying about the MOLLE system that would have to work out on my belt. Well, it just doesn’t work for me. It has some nice details, but since it’s too small and also doesn’t even fit the tool nor the extra LED torch, it will have to go back on sale via eBay. Ah, it could be worse. 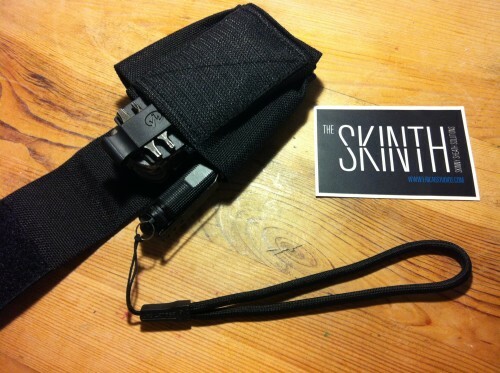 So this ad I’d seen was for a new kind of sheath called “Skinth Solutions“, made by a Canadian designer/photographer who’s also into multitools. I saw it and instantly fell in love with it. Given that I had already invested so much time and money into this hobby of mine (~ creating sheaths for tools), I knew I had to order mine from Canada – and just did that. It’s expensive (for me in .DE), it’s simple, it just works, it wins. I later on realized that the Skinth had also been developed in close collaboration with other multitool.org users. It’s a crowdsourced product, somehow. Made by someone who cares and had MY tool in mind when he created the product. 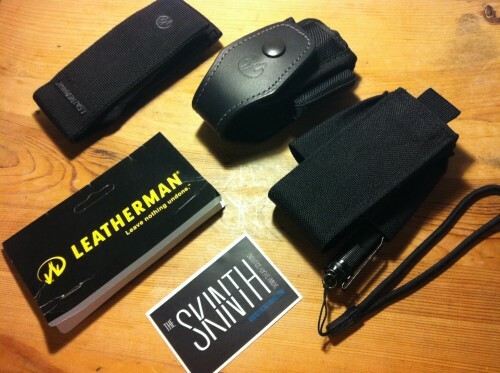 The Skinth OG isn’t perfect, it still has some issues, but it’s what Leatherman should have come up with in the first place. The issue I am currently experiencing is that the torch doesn’t fit – and a few days after ordering mine, the Skinth Sparton OG came out which looks like the ultimate sheath Skinth to me. Hmmm….. In terms of overall height – which is the most important criterion I have as most Leatherman sheaths are just too bulky when fully loaded – the Skinth beats all others. It’s even slimmer than my DIY leather sheaths (which aren’t pictured). Going by the torch issue, I may swap the Skinth OG for a Skinth Spartan OG. The torch just can’t be fully inserted on the Skinth OG and that’s just bad for my needs. It’s too long for the side pockets. 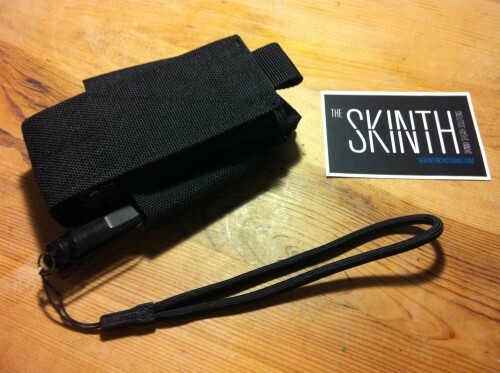 Nevertheless of this issue, the Skinth sheaths (check out their Facebook page!) are still cool. Juli, the social media manager at Leatherman, told me that “sheath are a very personal issue”, which is why they’re having problems creating good sheaths that will please everyone equally. The Skinth collection, however, instantly convinced me. 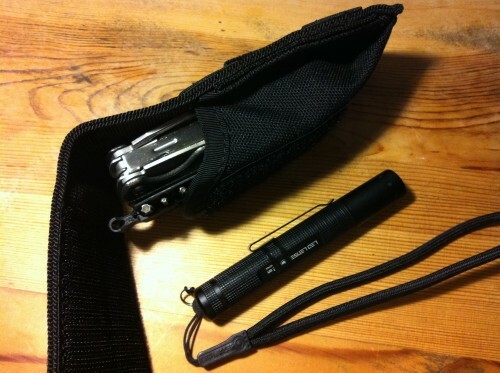 If you’re still searching for a nice sheath for your multitool, then please try them! Eric, the maker behind the Skinth collection, also just dropped me an e-mail, telling me that there’s a chance to “undo the stitches that pin the pockets down” which will sort-of solve my issue with the current version. I will try that as it seems to be the best solution atm. Thx, Eric! 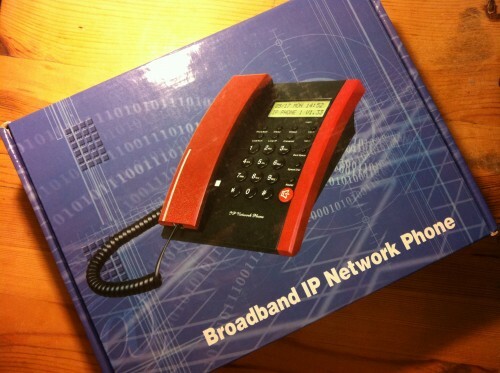 My recent move to the (Free and Hanseatic City of) Hamburg made me pick up a brand new VoIP telephone via eBay Germany. Just EUR 9 for a factory sealed phone ex 2005 from a clearance sale (TelDaFax!) that only works via LAN and requires a VoIP account – I am using Sipgate which are very reliable in Germany. 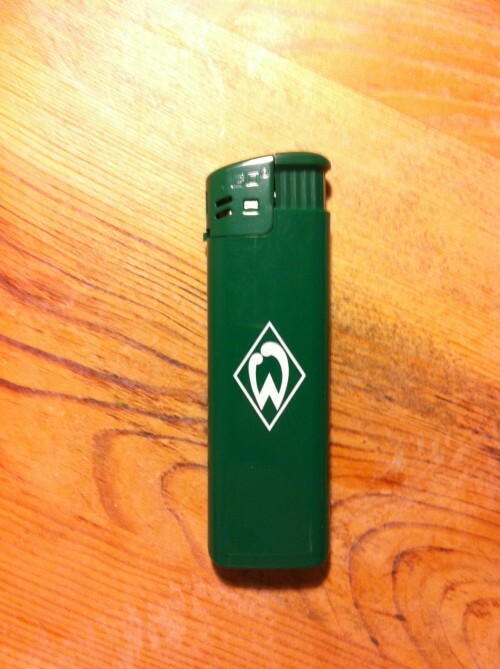 It also is my office number in Frankfurt, so I like to have this with me and not on a Nokia or Apple device in form of an app as this would only drain the battery. 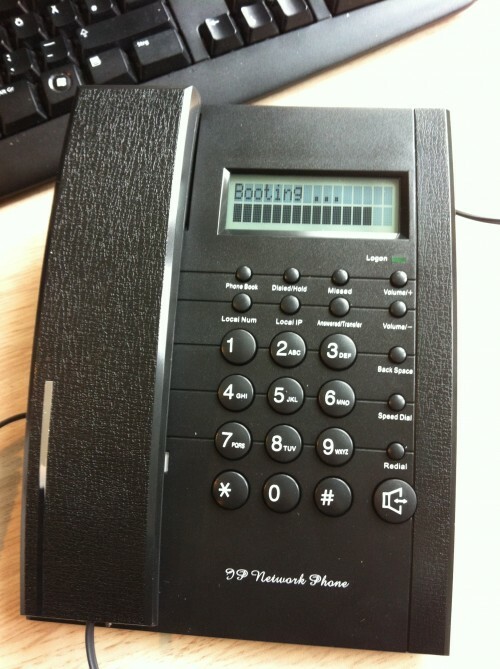 Sipgate is cool, this phone…well, it was cheap. The pictured Primeworx P100 is the same as the Global IPtel G100, Cistrix CT-100, Siptronic ST-102 and probably some other brands and is based on the PA1688 chip, a low-cost VoIP chip. It took me several hours / three evenings to eventually debrand the internal firmware and swap it for one of those available online. And since my phone was made in 2005, the website of the distributor is already offline. After some cross-reading here and there, I found this wonderful resource online: PalmMicro – a private site/blog run by a Chinese in the USA who worked in the dev team at PalmMicro/Centrality where they designed the chip, created reference boards and also compiled the firmware. It’s probably as close as you can get to a system – directly talking to former developers who will respond in time – and his blog is also recommendable for the views on hardware development in China and restrictions set by the Great Firewall in China. Reading between the lines, you quickly realize that it’s often just a few smaller companies who create chips and reference boards which are then copied by the industry and sold for a period of a few years. It very much reminds me of the Qualcomm 3G modems we all have in our business laptops with their often undocumented GPS functionality (ask Lenovo, HP, etc.). Anyways. PalmMicro rocks and if you are still in need of recent firmware (as recent as January 2012!) for your cheap VoIP phone, PalmMicro is the place to visit for your Global IPtel G100, Cistrix CT-100, Siptronic ST-102 or Primeworx P100.